This is my card for this week's Muse challenge, where the lovely Kristie is our Guest Designer. This layered heart design has been done before, many times by many people and it always catches my eye. It's clean and graphic and the colours have such impact. I used my brand new Folk Hearts from Essentials By Ellen and the colours from Kristie's dramatic card. 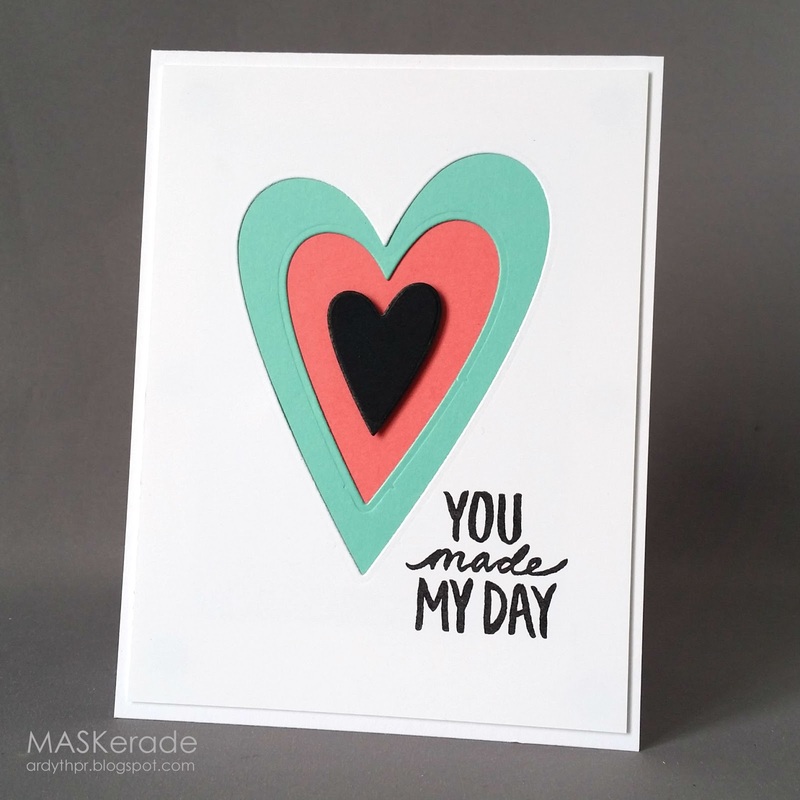 I popped up the black heart and finished with a Stampin' Up sentiment. For this one I used an MFT 'you' stamped in Adirondack Pool, Sunset Orange and Hero Arts Pale Tomato. I used an MFT Thank die. I hope you'll get a chance to play along with us this week! The deadline for this challenge is Monday morning at 8 am EDT. At that time you can vote for your 3 favourites (even if you didn't link up a card) until Tuesday morning at 8. Voting results will be posted at noon on Tuesday. Hope to see you there! Cheery card Ardyth, I just adore those hearts such a great shape and those cool coloured YOU's! Two fabulous cards. Love the color combo. Very nice, Ardyth... I'm working on a card now - Kristie really challenged me this week! Two gorgeous cards, Ardyth! Love how you used the colors together! Perfect! Wow - the center black heart really pops against the two pretty pastel colors! Love this die - totally folk artsty-ish! Your designs are so clean and sharp. 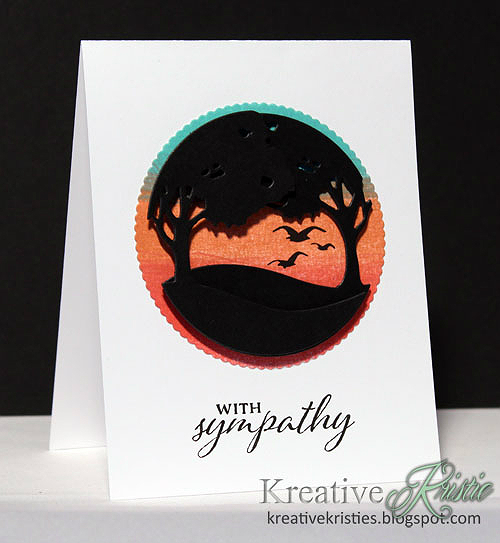 You certainly had the perfect cardstock and ink colours to do some amazing CASing of Kristie's card. Beautiful! These are both fantastic. Love how you used the colors.